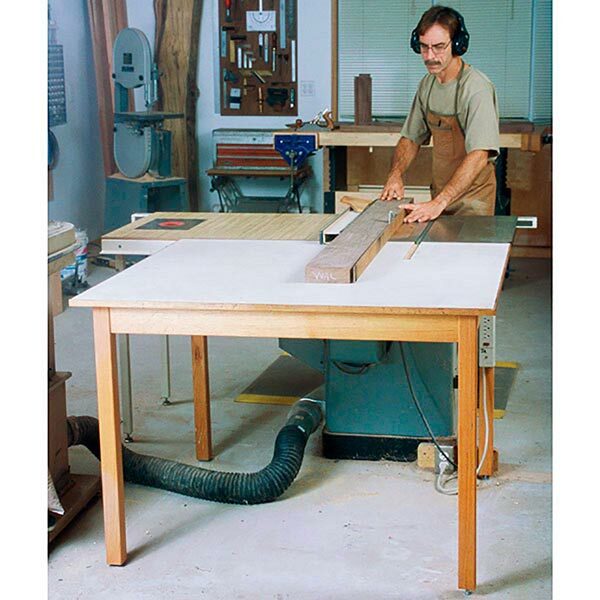 To improve safety and cut quality, workpieces should be well-supported as you feed them off a tablesaw. 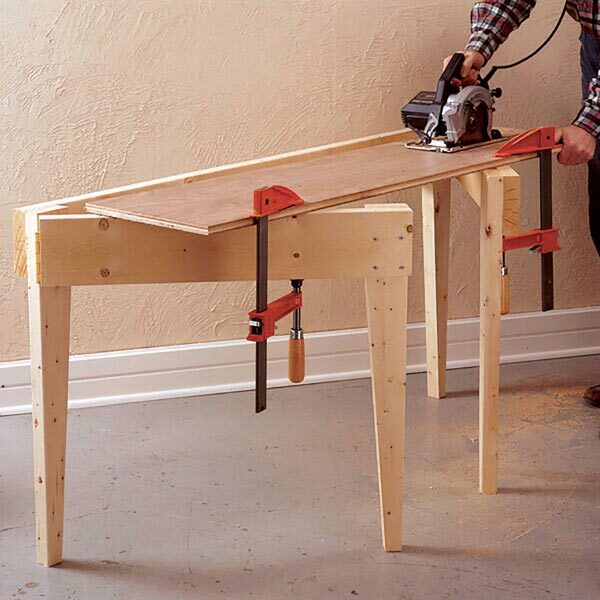 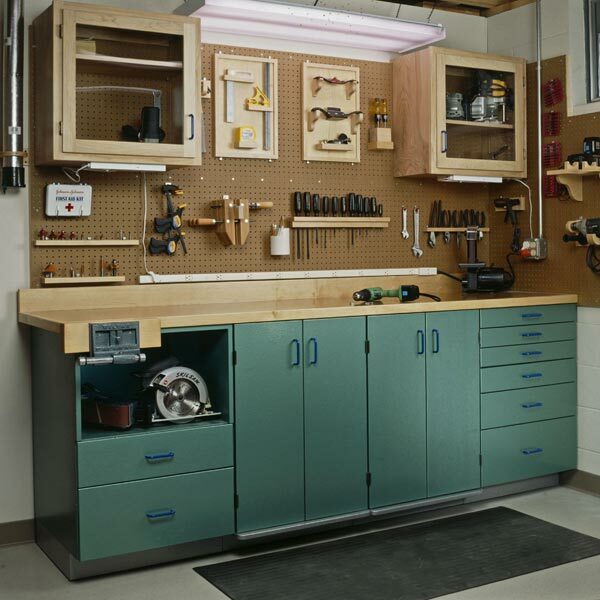 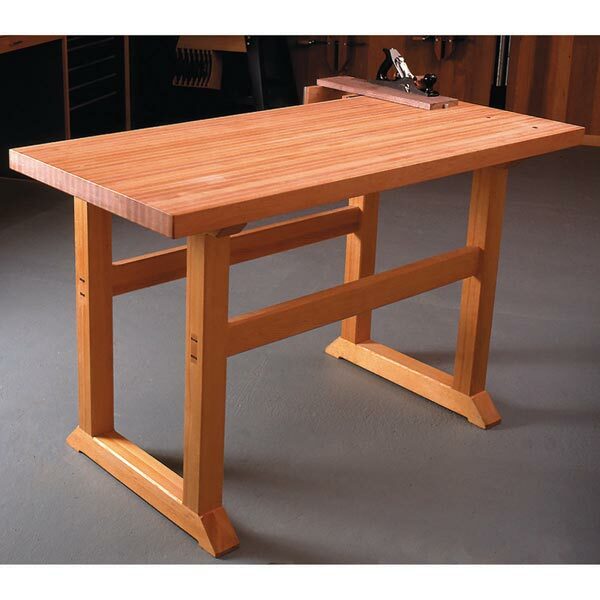 This fixture provides ample support, even for a full sheet of plywood, without taking over your shop. 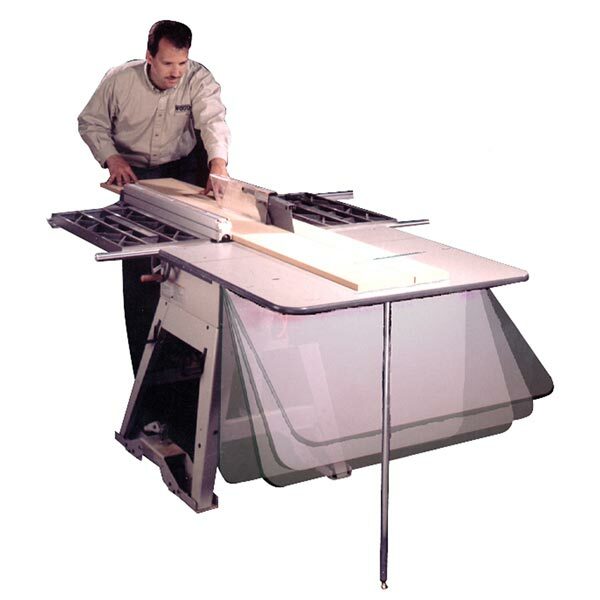 A flip-up wing provides a whopping 44-1/2x42-1/2" surface when needed, then folds down to a compact 20x42-1/2" footprint. 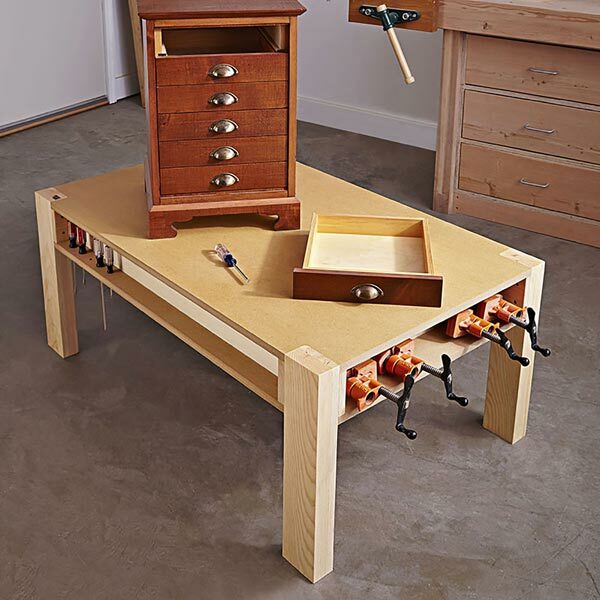 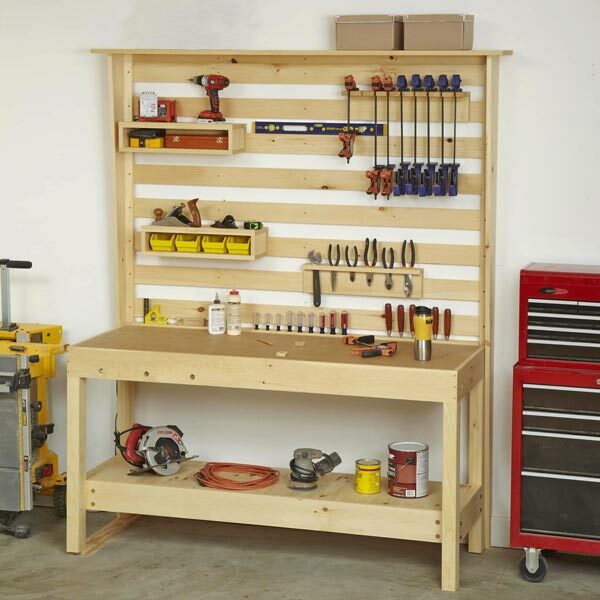 The table even provides storage for lumber cutoffs. 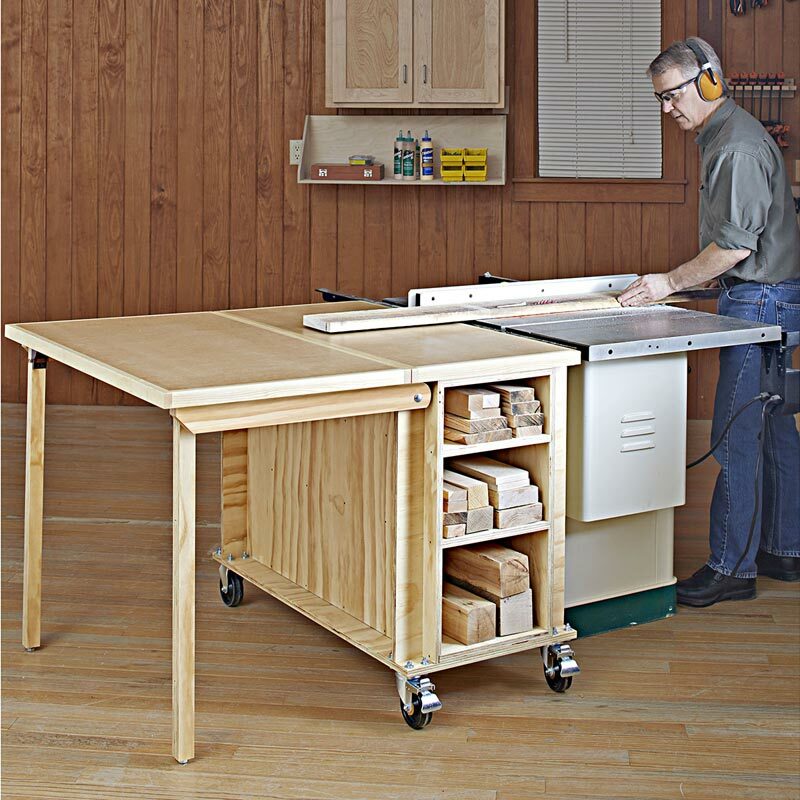 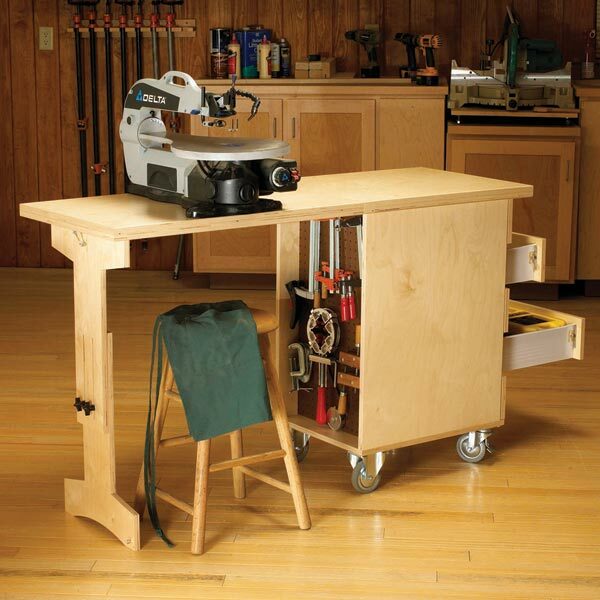 And for ultimate versatility, casters allow you to roll it out of the way or to another spot in the shop to use as a standalone table.